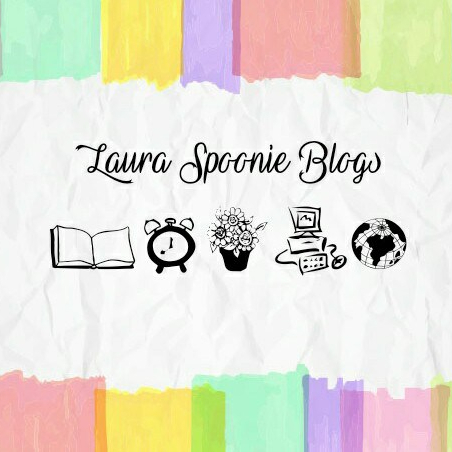 So recently I posted a blog, Who is Laura Spoonie❔ 10 Facts about ME – 10TH BLOG❕– where I mentioned a few facts About Me so I can build a stronger connection with my fellow bloggers and audience. That way you can get to know me a little better. Now it’s time to speak about this Blog and the plans I have for it. MY PLANS FOR Laura Spoonie Blogs & WHY I STARTED BLOGGING? I created this site to encourage my fellow ‘Spoonies’ – Chronic Illness & Mental Health Warriors. Sharing that no matter your circumstance you can always set goals and accomplish things you may have always dreamed of doing. I started blogging my struggles, victories, language learning, photography, product reviews and art so I can share it with the world and take you on my journey of growth and self-development. In February 2017, at the sweet age of 22, I suffered my longest ever Fibromyalgia & CRPS flare to date. Three going on four months straight, level 10 crippling pain without any let up and I was so close to ending it all; the pain, the feelings of complete worthlessness and my existence. I’ve been suicidal since pre-teen and had my fair share of trials. In the beginning of this year I was bed bound with awful pneumonia and it seems like every few months there’s just something that pops up to surprise me (I HATE surprises btw, whether good or bad). Regardless of the bad times and wanting it all to end there’s always been a little spark inside of me and a fighting spirit that just won’t give up. I had an epiphany that If I just hold on, hold on a little tighter and strengthen my faith, keep on going despite my chronic illnesses and mental health battles, then maybe I could try to be there for someone else, the younger generation growing up, just like I would’ve wanted when I was little. It’s definitely not an easy journey but if I get to encourage or inspire just ONE person in my presence, then my time on this planet we call Earth has not been in vain! My aim is to use Art; drawing, painting, poem writing and everything else in between as a therapeutic solution for coping with chronic pain and mental illness. HOW OFTEN WILL I BLOG? I made the decision some time ago to create different series within my blog and have some sort of Post Schedule. So far, Mondays and Fridays are my preferred days for posting. The topics that I focus on the most will have a place in the ‘Menu’ location so it will be easy for you to go straight to a topic where the specific blog posts will be, also you can use the ‘search’ bar when trying to find something in particular. I aim to have a blog up at least once every two weeks (bi-weekly-minimum), and if I happen to post more frequently then… Hey, let’s speed walk with it. Depending on the month and how my health has been, I could publish more posts but I refuse to put pressure on myself because i’ll just get frustrated and there’s no point in added stress… That would defeat the purpose of trying to find ways to reduce stress as much as possible. I’m absolutely terrible at sticking to schedules and routines, so this blogging journey is going to be a challenge in itself for me. Being chronically ill you don’t really get to decide your life schedule because your illnesses basically make the decisions for you…. Rude right? I know! All things to do with having a chronic illness; How to cope, diet, advice and where to seek support. Tips, hacks and poems about living the Spoonie Life! I will be posting about the ugly truth of being a chronic illness sufferer. Spoonie Menu – I’m intolerant to a lot of things and my nurse is finally referring me to a dietitian. If I get to make a new dish or dessert, make smoothies or do any cooking challenges (hopefully without burning anything Lol) then I’ll document my experience and how I coped as a chronic illness sufferer. I will post about My personal story living with mental illness and also how i’m using Art to combat these debilitating mental illnesses. Where to get help and how you can support a loved one if they battle with mental illness. I’ve mentioned a little bit about learning Japanese in a previous post but haven’t actually gone into detail about my journey yet. It will be a way to keep track of my self-teach language progression, and also a way for you to join me on my journey as I tell you what I’ve learnt within a period of time and any new experiences that I’ve had whilst learning Japanese. Home accessories, aromatherapy products, artist tools, kitchen or bathroom appliances, travel products, mobility aids (if I can get a hold of them) etc. Either I will choose an item on my wish-list to try out or you can suggest an item for me to review. If you have any products in mind for me to try out then please feel free to Contact me via the Contact page and I’ll put it on my list for future reviewing. On the rare occasion I might get out of the house and go somewhere fancy… like to the X-Ray department in hospital, haha just kidding. I’m really trying to set goals to explore, do a little more adventuring (small steps) and be less of a hermit. If I get to go anywhere or experience new food out somewhere then I’ll document my experience and share how I coped as a chronic illness sufferer. I take pictures of everything. If I pass a tree guarantee there’s about 50 of the same looking tree in my phone gallery because I’m ‘photography happy’ – I think I just made that phrase up, haha. I’m a visual person and prefer text with colour, partly to do with being dyslexic and partly because I’ve always been a creative person. Each of my blogs will have at least one photo in them. Whenever there’s a photo or logo in any of my blogs or on this web page, either it has been photographed by me, drawn by me or designed by me, unless I state otherwise. I will eventually have a portfolio of my most favourite pictures that I’ve taken, it will consist of Nature, Attraction sites etc. and i’ll also add my Art to a designated portfolio as well. Once I get the hang of writing my own blogs and trying my hardest to build up content I would love to start having guest bloggers on my site. I’ll let you know when the time has come. OUT OF ALL THE TOPICS & SERIES THAT I MENTIONED, WHAT INTERESTS YOU THE MOST? I know, i know it’s a lot to digest. A bit like an ‘All you can eat Buffet’. So that’s why I’m giving you the heads up in advance, also this is like my written agreement to finally start this journey. Looking forward to your feedback and growing with you all. OK, time for a nap now! Well done with planning and organising your goals! I agree that creative activities are therapeutic and they’re great for taking your mind off you worries for a while.